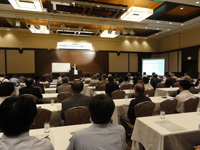 AGI invites distinguished speakers to deliver lectures at “Growth Strategy Forums” for the general public on topics such as economic and industrial trends in the international community, information that contributes to the development of the Kitakyushu region, and the introduction of other countries’ experiences for enhancing economic growth. AGI invites researchers working on Asia to present their work at “AGI Seminars.” The participation fee is free and anyone is welcome to attend these seminars. 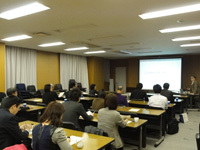 AGI organizes seminars given by its staff. Anyone is welcome to attend these seminars. 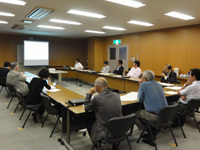 AGI also holds other seminars including those funded by Grants-in-Aid for Scientific Research (KAKENHI).